During his research years he visited the Soviet Union and a number of east block countries attending symposiums, giving seminars and collaborating with east block physicists on joint projects. These experiences gave him a vivid impression of life behind the iron curtain during the cold war and brought him indirectly in contact with the KGB and East German Stasi, who were monitoring the scientists he had contact with. In 1984 he left academia and entered industry as a developer of intelligent sensors for the automation industry. In his first four years he submitted and was granted six patents in the above mentioned field. In 1990 he took up a position as a senior executive of his last employer and became its joint CEO and Managing Director in 1994. One of his important tasks was chairman of the board of the directors of a joint venture company in Shanghai. Over a period ofsixteen years he visited and worked in China on numerous occasions. As a frequent traveler over the years, visiting almost all continents, numerous countries, including most of the major cities around the world, he often took for leisure an exciting spy thriller novel from one or other of his favorite authors: Forsyth, le Carre, and Higgins. As time went on he had read most of their works as well the works of Follet, Arthur, Clancy, Forbes and others, so that he found less and less to read. Ten years ago this gave him the motivation to write spy novels himself as part of a wider urge to write about life in general. He is aided by a vivid imagination combined with his many interesting and unusual experiences in life. Stuart Craigie’s Russian Monopoly is a stunning entry into the detective genre. Mike Sanders is a skilled agent; intelligent and imbued with a powerful sense of duty. When an assassination attempt on his life fails, he becomes obsessed with knowing why someone would want to kill him and, worst of all, someone with whom he’d collaborated in the past. When he begins his investigation, he sets off a chain of events that threatens to destroy him and everything he stands for. It is interesting to watch as he races through cities like Helsinki, Moscow, Kyoto, Washington, Siberia, and St. Petersburg to solve a threat he barely understands. Will he be able to get to the heart of the Russian mob that threatens his life before they get to him? 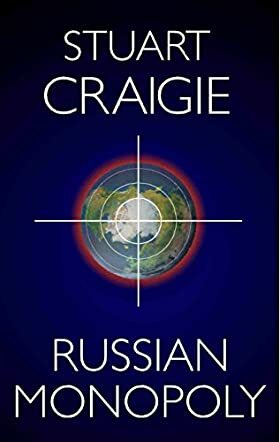 In the tradition of Robert Ludlum, and with a unique style and voice, Stuart Craigie weaves a powerful tale involving rounded and rock-solid characters that readers will love. There are so many twists in the story and unusual surprises that readers will find really entertaining. Characters like the investigative journalist Heidi Klusman are very memorable, but the protagonist is a hero who will undoubtedly win the sympathy of readers. Russian Monopoly creates a story set against a world where danger is everywhere and where it’s hard to trust anyone, but what makes it even more suspenseful is the love affair and the dilemma into which it thrusts the protagonist. Stuart Craigie is an author to follow if one loves investigative novels and well-crafted characters.